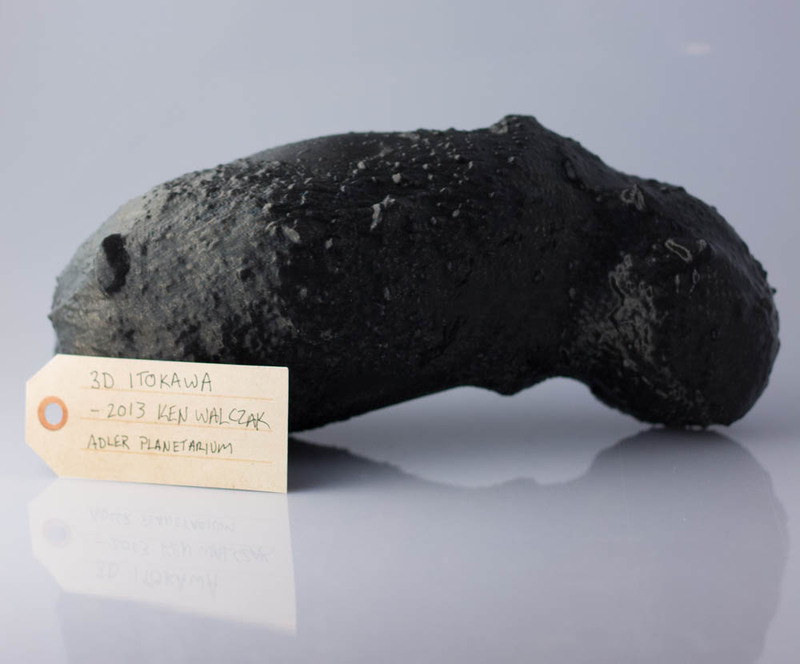 Itokawa asteriod | That Belongs in a Museum! Now what happened that was really special a few weeks ago was a school group came in. These are kids that are probably about 5th grade or so, and the first thing they do is run to all these computer screens that we have and they play around with all these visualizations and all these other interactive things. But then there’s one child who came in with the chaperone and he had a cane, he was obviously visually disabled. And I was like, “Oh, what can I do for him, and it was sitting up there for quite some time and all of a sudden it struck me, “Oh, Itokawa!” […] And as I was talking with him, and he was able to touch this, I think some of those ideas actually got through. So in a science where we never get to touch the things we actually get to observe and understand, we had this one chance to take technology and bring it to someone who could appreciate it on a level that we never even get to.